Did you know about the integrated sun canopy?! This post applies to Maxi-Cosi car seats (it may be applicable to other brands but I’m not sure). Firstly, I want to start by explaining why I am writing about this. I’ve had conversations with clients from a few of my newborn sessions about this, and it also applied to me when I had my first child. Basically, a lot of people don’t seem to realise (myself included once!) 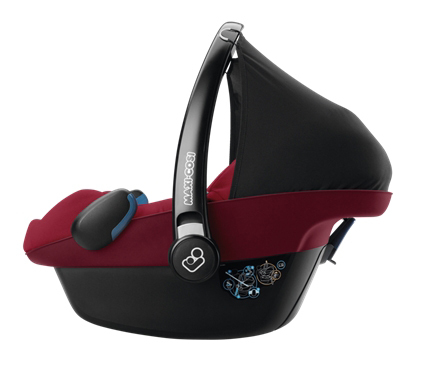 that there is an integrated sun canopy in the Maxi-Cosi baby car seats. Someone had to point this out to me, and I have also pointed it out to a surprising number of my clients! I had a look on the Maxi-Cosi website just now, and it does actually mention a sun canopy in the list of features. It doesn’t specify where this is so unless you know where to look, you may not find it! You may even assume it is one of the optional extras. I’m not sure if it even mentioned a sun canopy in the information that came with the seat – it could well have done but I probably skimmed past it. Hope this has helped someone!